If you are looking for a home within a five minute walk to downtown Prescott with amazing curb appeal, great backyard with shed, back deck and recently remodled interior, then look no further. 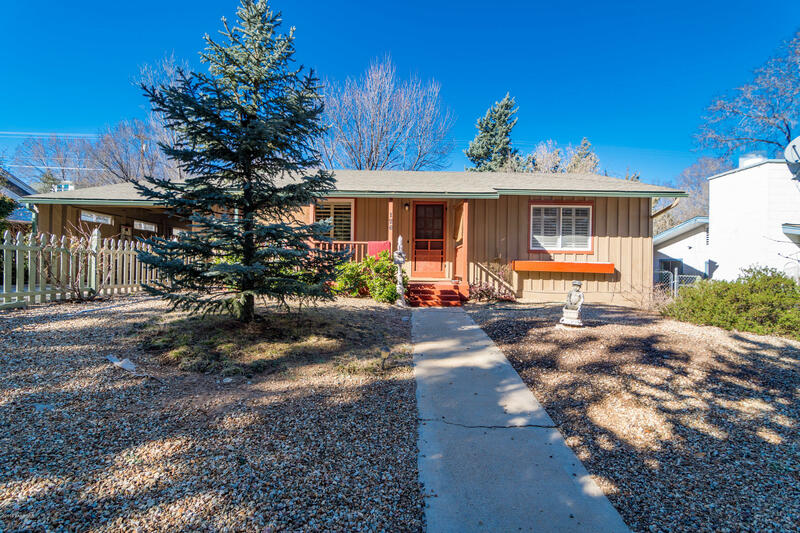 This home offers a great location being central to everything Prescott. Recently remodled kitchen with granite counter tops, white finish cabinets, stainless steel appliances, subway tile back splash, parquet flooring and tile throughout. Huge laundry room that can also be used as an office or mudroom. A large guest room with tons of natural light. Large master bedroom with a recently remodeled bathroom and a huge his and hers closet. The backyard is perfect for entertaining or just relaxing with friends and family. There is also an area perfect for a garden! This home has it all so don't miss out!